In 1992 my Wife Yvonne and I took a cruise on the Grand Canal in Ireland with 4 friends and since that time have been smitten with cruising in Ireland. This was before we had children and although we've holidayed in many countries since then we still talk about our cruising holiday as the best we've ever had. Since that time we've taken to the river whenever we could afford to. In 2000 we moved from Dublin to Roosky, on the Shannon River and spent two years building a boat hire business on the Shannon. 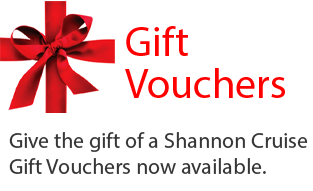 In 2002 Shannon River opened for business and took our first boat hire booking in May of that year. 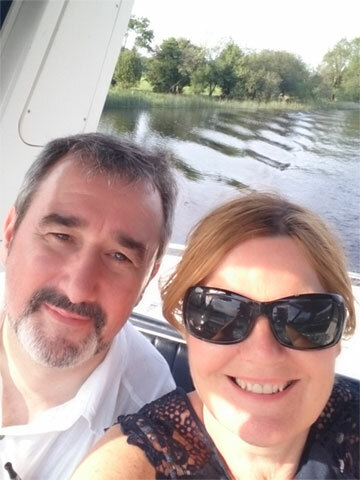 Since then we've taken thousands of bookings for all of the cruiser companies on the river and have amassed a wealth of experience on cruising in Ireland. We offer professional, impartial advice on the cruisers and the river, and it's the same price to book with us as it is to book directly with the cruiser companies. We're still a family run business and take great pleasure in helping people plan their cruises in Ireland. We've travelled to other cruising destinations in Europe and with that knowledge we intend to expand our business to cruises in Europe in the near future. I hope you'll find the information on our website useful, and if you plan to hire a cruiser that you'll book with us. All four of us really enjoyed ourselves and will definitely be doing another cruise some day!.. It was a great holiday and experience..